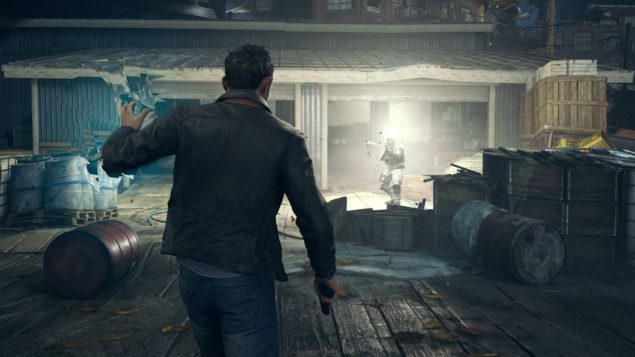 The news of the week and perhaps even of the month so far is that Quantum Break will unexpectedly (though there had been a rumor) release at the same time on PC and Xbox One. This generated a lot of buzz in the gaming community, with PC gamers happy about the unforeseen present and Xbox One gamers feeling a little disoriented, since Microsoft had been telling everyone that the game would be an Xbox One exclusive. In fact, during Gamescom 2015 PC Gamer was able to interview Phil Spencer and it sounded like Quantum Break definitely wouldn’t launch any time soon on Windows. Going to those teams mid-cycle and saying: ‘Hey, by the way, I want to add a platform,’ didn’t really feel like necessarily the best way to end up with the best result for the game. They had a path that they were on. It’s not to say those games could never come to Windows, but right now we’re on the path to finish the great games that they’ve started, and I want that to be the case. These games are on a path, whereas with, like, Halo Wars 2 I had the opportunity from the beginning, when we’re sitting down with the studio, to say, ‘Here’s the target. Here’s what we wanna go do. However, something must have changed shortly after that. Even so, Microsoft wasn’t fully sure to be able to launch Quantum Break on PC on April 5 until now, as confirmed by Head of Xbox Marketing Aaron Greenberg in the latest Major Nelson podcast. We weren’t sure how and when we could get the Windows 10 version done. They lined up [with the Xbox One version]; a lot of people’s reaction on Twitter was like, I get it, you want to bring this to a lot more gamers to play, but why didn’t you tell us about this before? We didn’t know we could do this before. The DirectX 12 environment for both Xbox One and Windows 10 probably helped the faster than anticipated development (which is being done in-house at Remedy Games). Greenberg also made it clear that in Microsoft’s eyes, bringing the game to Windows 10 is a huge benefit. We’re trying to bring gamers together, we’re trying to break down the walls if you will. To be able to bring a title like Quantum Break to the Windows 10 ecosystem is a great benefit. We know that there are a lot of PC gamers out there who would like to play the game, so that opens up a new audience. Interestingly, if you pre-order the game digitally through the Xbox Store or through participating retailers, you will also receive a digital download code of Quantum Break for Windows 10 for free. Moreover, the game will feature cross-saves so that gamers who own both versions can continue their Xbox One progress on Windows 10 and vice versa. Check out the official PC requirements and the latest trailer if you haven’t already.